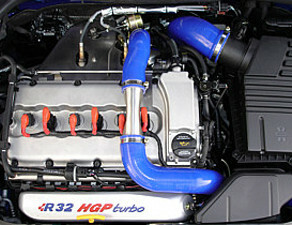 The 3.2 V6 engine is a further development of the popular VR6 engine developed by VW is the early nineties. 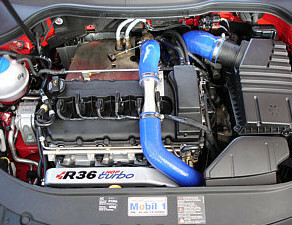 Utilizing the same basic design the 3.2 V6 is a narrow angle 15 degree v arrangement, this allows for the engine to be transversely mounted and is suited to the more compact vehicles in the VAG range. 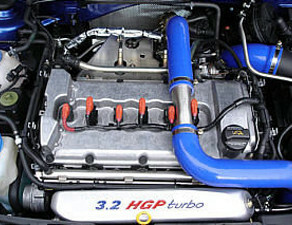 The head and inlet side of the 3.2 V6 has been completely re designed, the 24 valve head and variable intake now enables the 3.2 V6 to develop 250 bhp. 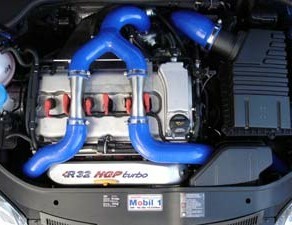 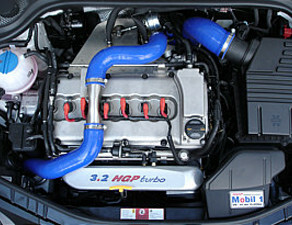 Traditionally being an normally aspirated engine the 3.2 V6 has limited tuning potential. 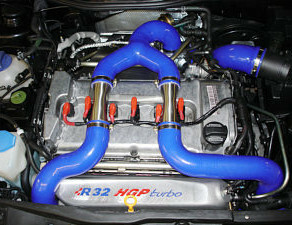 VAGtech’s long standing relationship with HGP and HPA has enabled us to offer some of the most exciting tuning programs available for car’s based on this platform.